A fabulous dancer, a graceful actor, a breath-taking beauty — Bollywood has not seen many like Madhuri. No wonder her fans long to see much more of her. Stardom is mostly evanescent. Actors enjoy their time under the sun before making way for others — but that is the story of the average star who slowly fades away. The reality is vastly different with megastars like Madhuri Dixit-Nene, the timeless diva. Her big-screen appearances have been infrequent in recent years; yet, she casts a spell on her fans with the help of undying cinematic memories. The actress’s latest outing is Abhishek Varman’s Kalank, a visually grand period piece, set in pre-independence India. Produced by Karan Johar, the multi-starrer that has cost an estimated Rs 80 crore to make will visit your neighbourhood theatre soon. 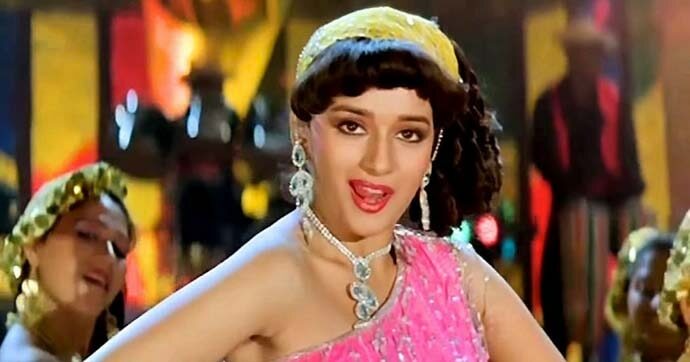 Madhuri had recently appeared in Total Dhamaal, the mindless Indra Kumar fluke hit comedy that was panned by the critics. Kalank, in which she is reportedly playing Bahaar Begum, an ‘enchantress’, could well be that film in which she will showcase her acting chops after quite some time. The trailer bears the fingerprint of Johar’s school of filmmaking. But it conceals more than it reveals, which has whipped up enough curiosity in viewers’ minds. Bahaar Begum was originally supposed to be played by Sridevi — whose untimely death was the reason why Madhuri got the part. Johar has done what he can to heighten the curiosity around the character — and the film in totality. Begum’s was the sixth and final poster to be dropped in the film’s series of character posters. Consistent media coverage has ensured that every filmgoer knows that Sanjay Dutt and Madhuri have reunited after 22 years. Mahanta, their last film together, had been released in 1997 — and that is a very long time. 'Tabaah Ho Gaye' — a song from the film featuring Madhuri's signature dance moves — has been hyped for a while. And why not? She is among the few accomplished dancers in the history of Hindi cinema. The sequence, set against a sublime visual backdrop, can become one of the major talking points of Kalank. That has been the case with many of her films, including, most memorably, her dance in Dola Re in the company of Aishwarya Rai-Bachchan in Sanjay Leela Bhansali’s Devdas. 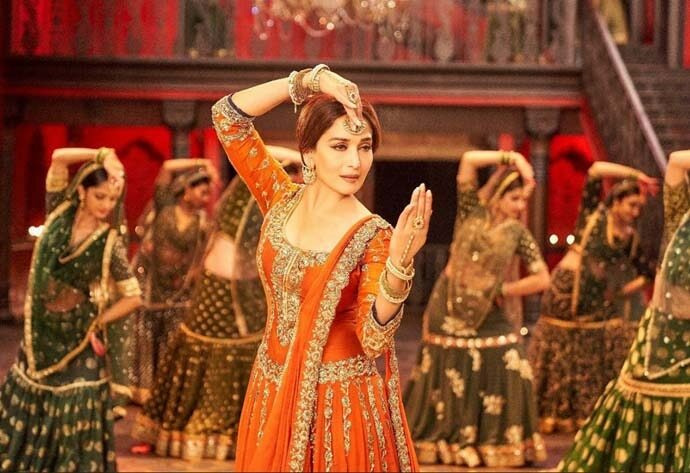 In Kalank, Madhuri's isn't a limelight-consuming central role. But much of the focus is on her since she is a huge star, who retains her ability to keep the viewer interested. So what if she’s been appearing in the movies occasionally? Her fan swear by her even today — which is an indication of her star power. The actress had shifted to Denver in the United States with her family after Devdas in 2002. She made her first comeback with Anil Mehta’s Aaja Nachle (2007). Playing a choreographer in the film that bombed, Madhuri successfully proved that her personal charisma hadn't eroded one bit — the actress was better than the film. She sought another appointment with her fans seven years later with Abhishek Chaubey’s Dedh Ishqiya (2014) — a black comedy and the sequel to Ishqiya made four years earlier. 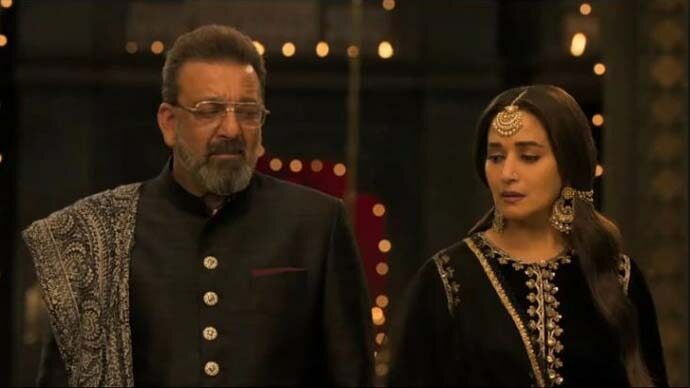 Madhuri played the conniving widow of a Nawab in what was a well-scripted, engrossing film that didn't charm the box-office. That said, hers was a brilliant performance. Soumik Sen’s Gulaab Gang, also released the same year, was a resounding disappointment. Madhuri, who played the leader of a gang of activists, was shockingly mediocre. She was completely eclipsed by Juhi Chawla, her former professional rival, who excelled as the antagonist but was also let down by a bad script and ordinary direction. Her next offering was the Tejas Prabha Vijay Deoskar-helmed Marathi film Bucket List (2018), with which she made her debut in Marathi cinema. Playing a homemaker who undergoes a heart transplant, Madhuri shone in an otherwise predictable film. While being a moderate commercial success, it failed to win many hearts. Her last outing, Total Dhamaal, was as unimpressive as any raucous comedy can be. And now, she will be seen in Kalank, which is unlikely to be as disappointing even if the maker limits himself to packaging stereotypes in a glossy wrapper. This writer’s gut feeling suggests it will be better than bad — which is enough to attract viewers and give Madhuri that first big elusive hit since her return in 2007. If Madhuri hasn’t had a great run since she got back to acting, how does she have a devoted fan following? Those who are old enough to have watched N Chandra’s Tezaab when it was released in 1988 would remember how she tiptoed into our lives with her ‘Ek Do Teen’. Tezaab signalled the beginning of the Madhuri era — which would see the stupendous success of Subhash Ghai’s Ram Lakhan (1989), Indra Kumar’s Dil (1990), Lawrence D’Souza’s Saajan (1991), Kumar’s Beta (1992), Ghai’s Khalnayak (1993), Sooraj Barjatya’s Hum Aapke Hain Koun...! (1994) and many other films. She acted in many men-dominated films — still, she was that rare assertive female megastar who could challenge the dominance of male star power with her sheer screen presence. A beauty in the classical mould, the actress gave rise to discussions on who was prettier: the equally imposing Madhubala or her. Both share qualities like winsome smiles, beautiful eyes and powerful presence, resulting in few conclusive answers. It was a bit like comparing Marilyn Monroe to Madonna, both astonishingly glamorous, and tough to say who's more so. Today’s Madhuri may not be able to sell theatre tickets with the sort of ease she once did. She cannot convince with another 'Ek Do Teen'-like dance perhaps or act in teenybopper romantic comedies. She may not have had an emphatic box-office success for many years. But she is still that Madhuri Dixit her fans want to see more of.